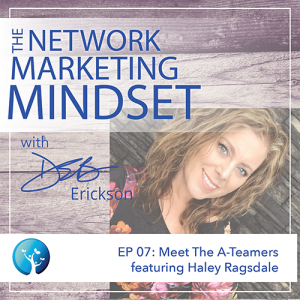 Deb interviews network marketing success story Haley Ragsdale, who tells the unique story of her beginnings in network marketing, including some of the key lessons and insights she learned along the way. Haley is an entrepreneur, business coach, and friend to an organization of 650,000 entrepreneurial men and women in 12 Countries. Haley has a love ’em and lead ’em coaching philosophy and strongly believes that #BeautyIsAVerb. When Haley isn’t coaching her team, you can find her spending time with her family in Alaska and indulge in the occasional random trip to some beach… somewhere.